WORLD INTERNATIONAL ENGLISH advocates providing language learners with a solid learning method surrounded by an excellent English environment in order to help students improve their English proficiency. After a period of productive skill study, students will improve their English proficiency and be more competent both in speaking and writing. It usually takes several years, even more than a decade to master English by using traditional learning methods. World International English created unique World Study Method based on previous experiences from nearly one hundred countries. We simulate the language context of English speaking countries by using highly professional teaching software. In addition, we also offer live training courses and practical language learning activities. 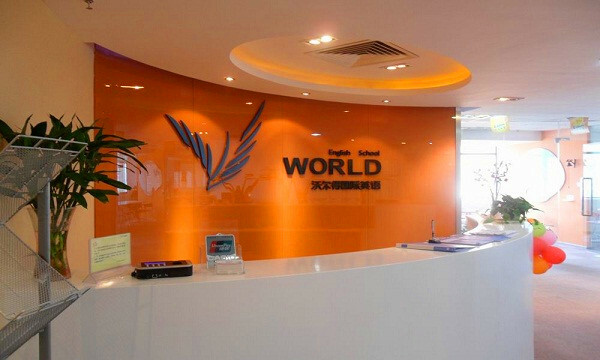 Studying at World within a period of time, our students can not only experience the joy of leaning English but also build up their confidence when their English level is greatly elevated. As a professional English training school, we create a relaxing and participative atmosphere; convey professional teaching theories; We also employ strict and careful teaching management; and adopt a combination of self-paced study with live training courses instructed by experienced foreign teachers. By doing so, students can fully enjoy the fun of learning English.